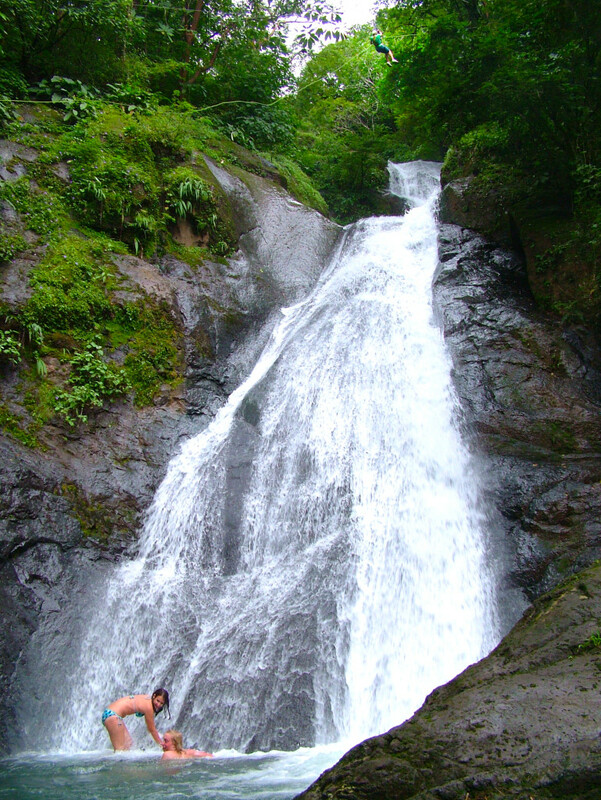 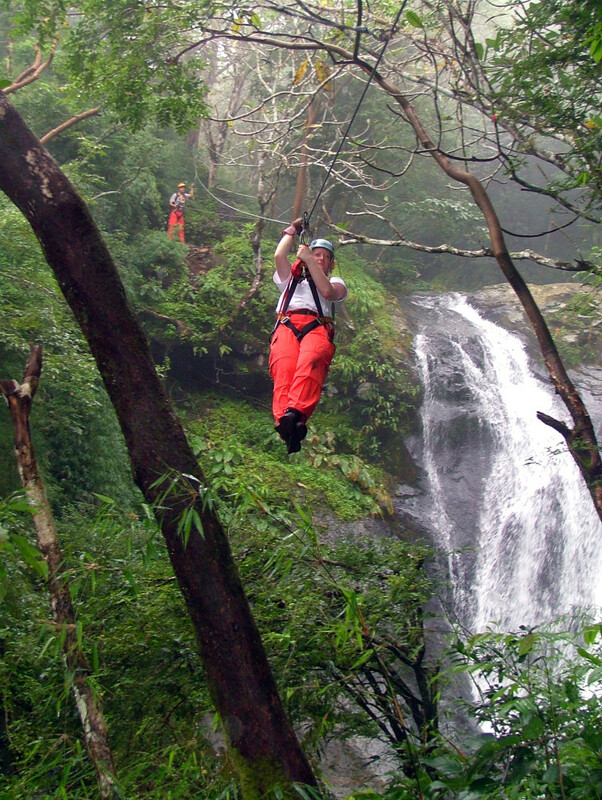 Take the chance to experience with us of our unique Zip Line (Canopy) Tour over Waterfalls, yes, you read well, waterfalls, and to be specific 11 in total. 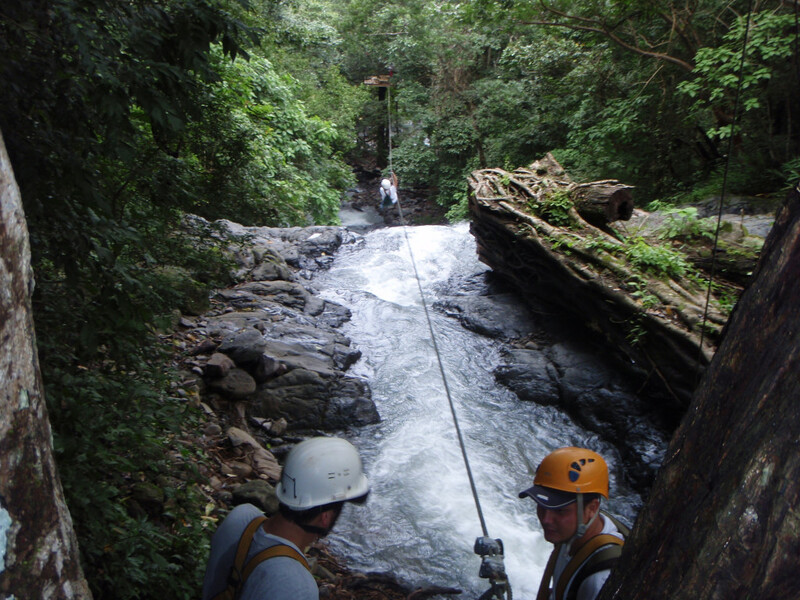 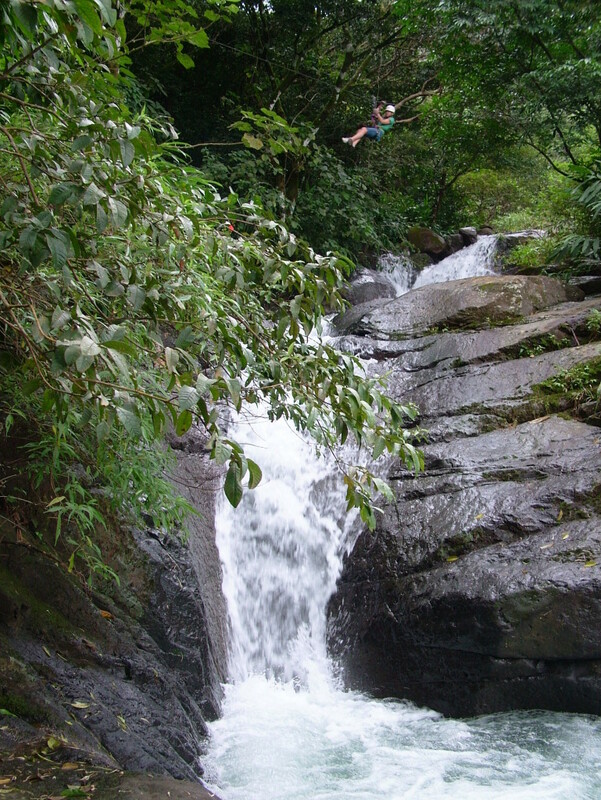 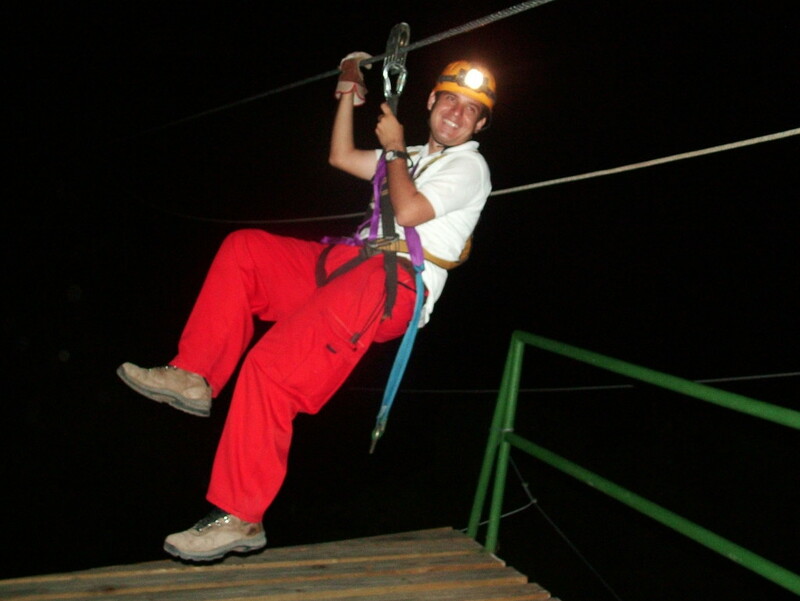 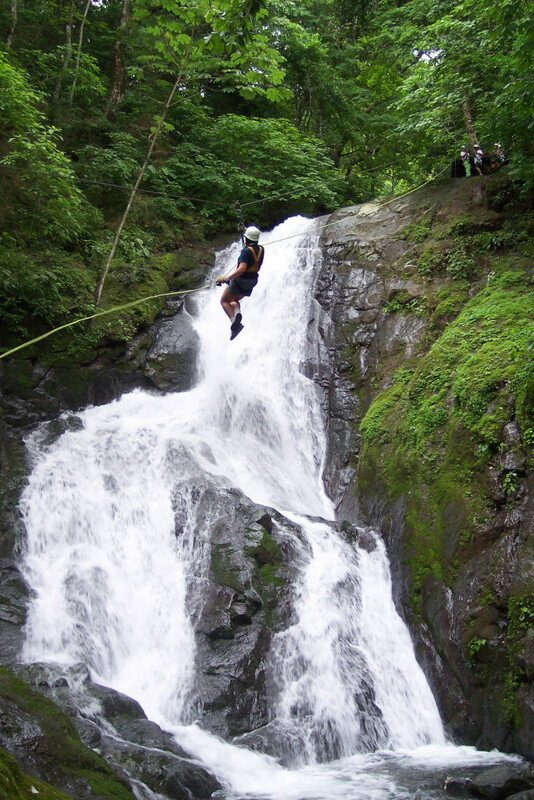 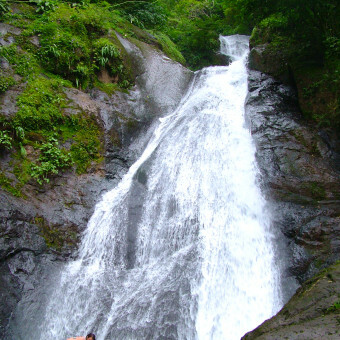 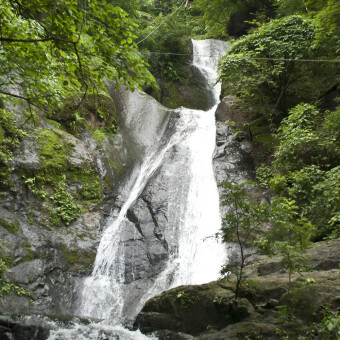 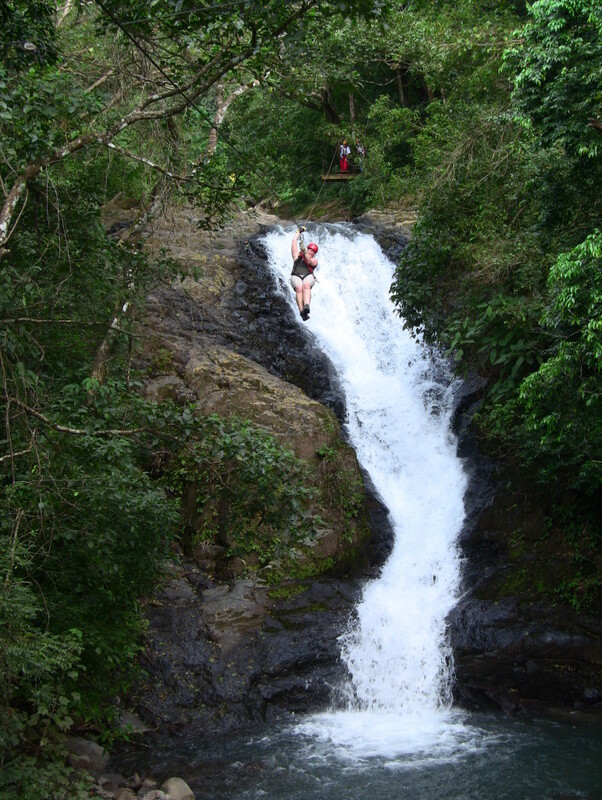 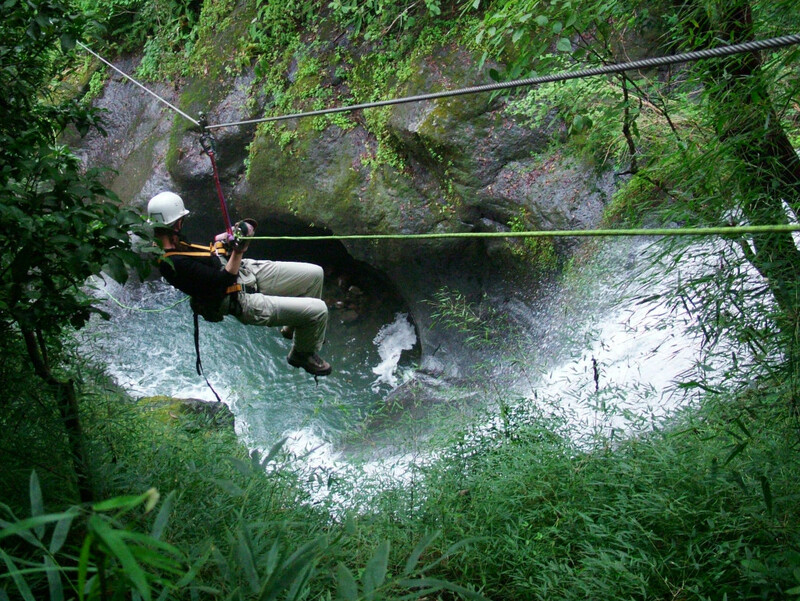 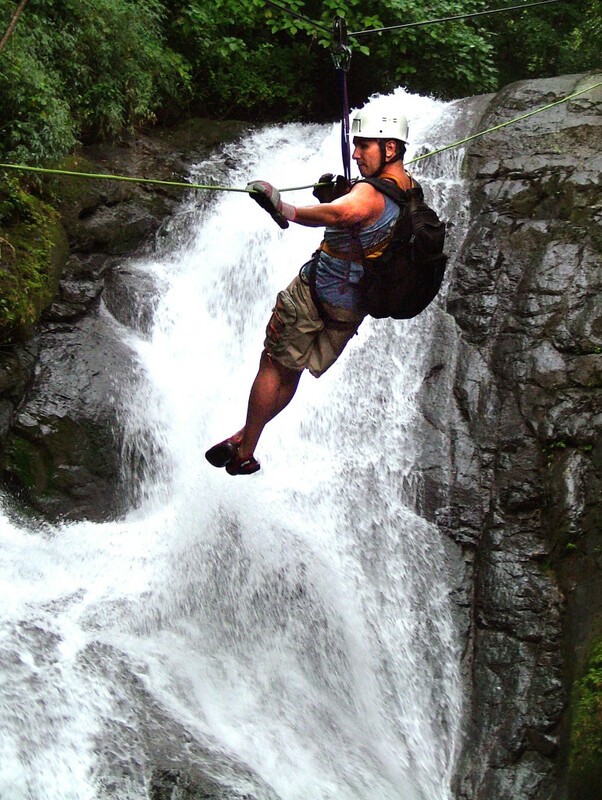 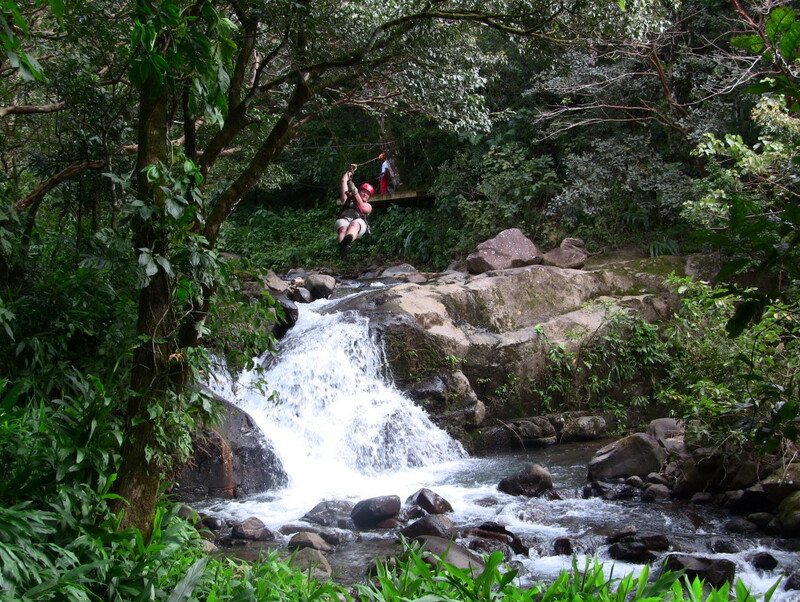 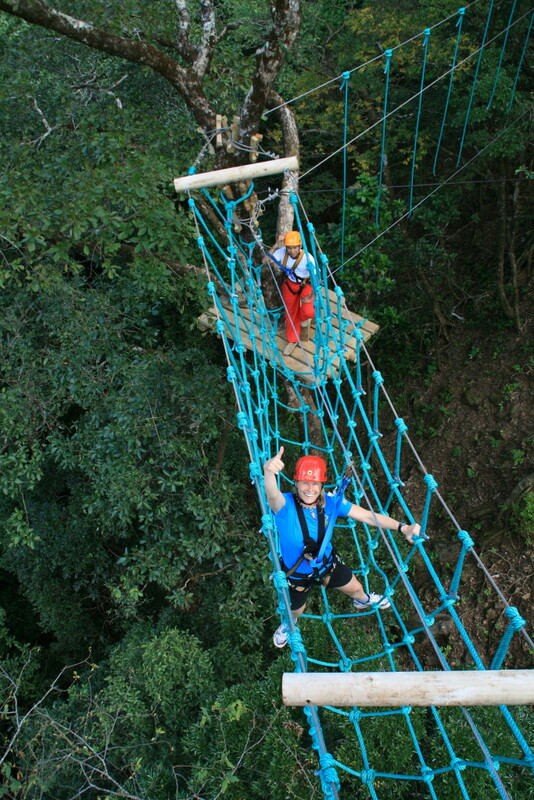 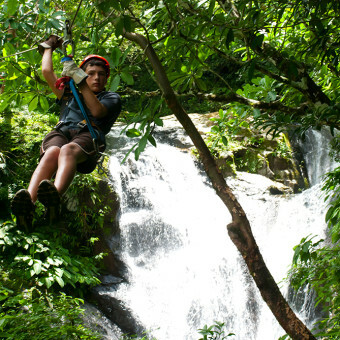 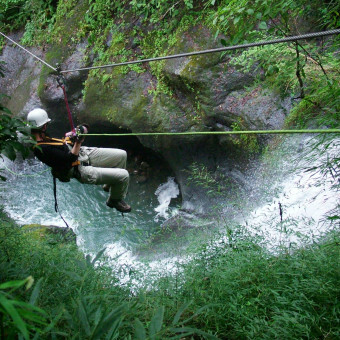 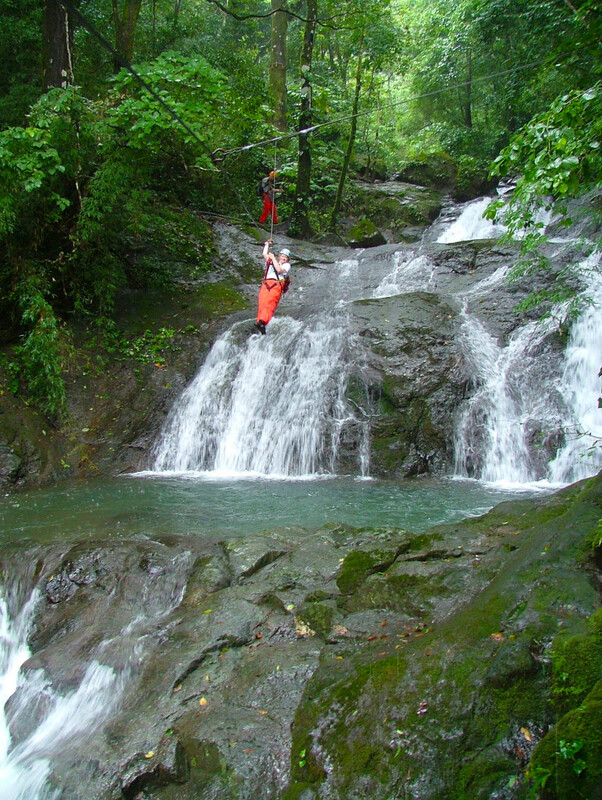 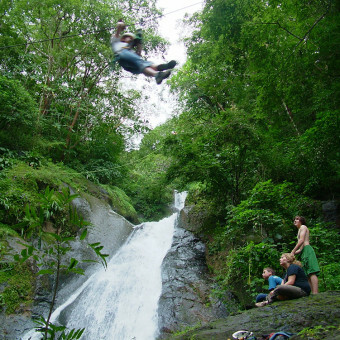 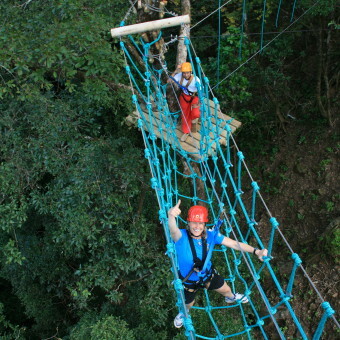 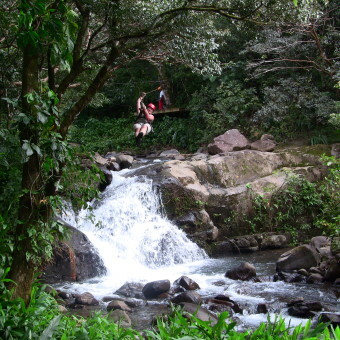 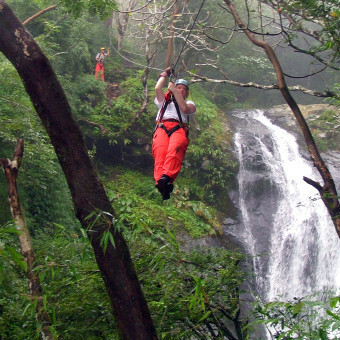 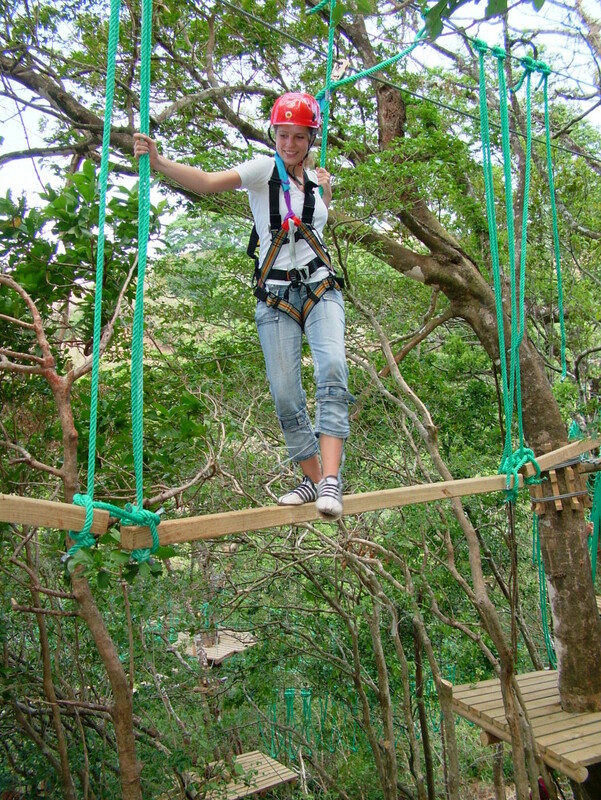 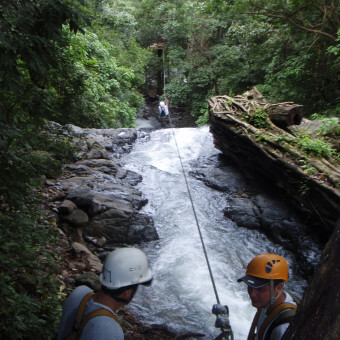 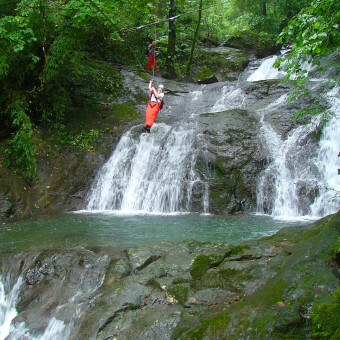 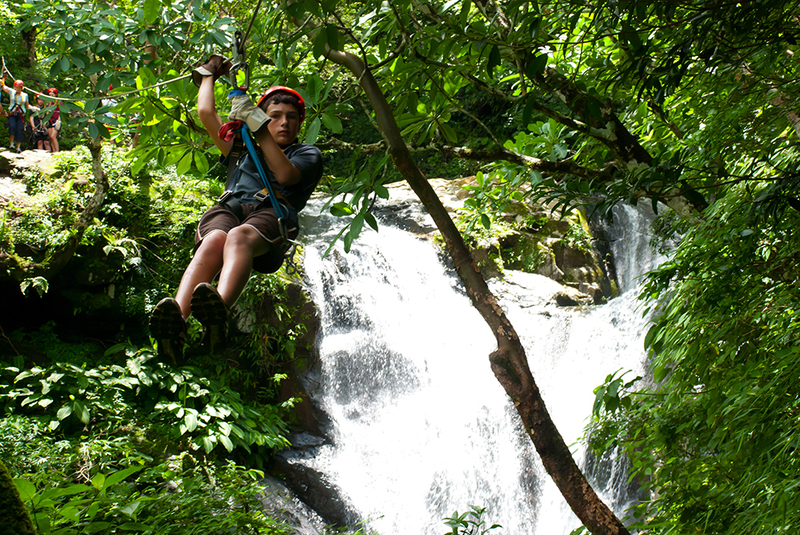 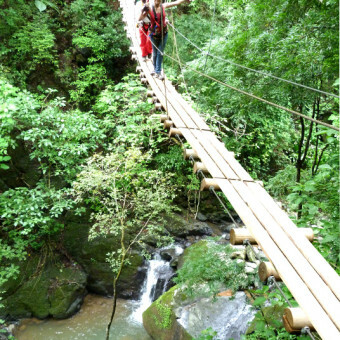 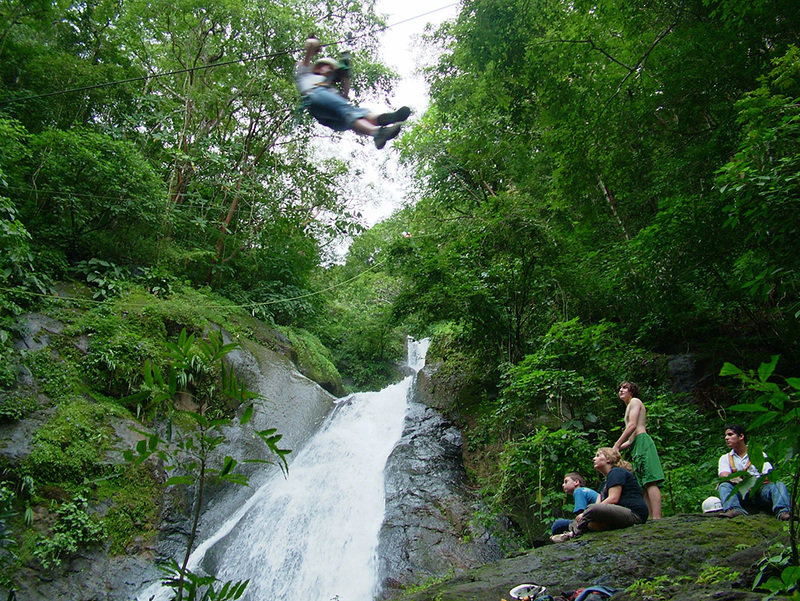 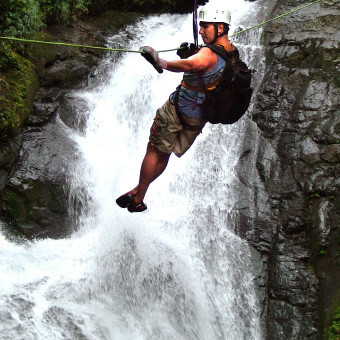 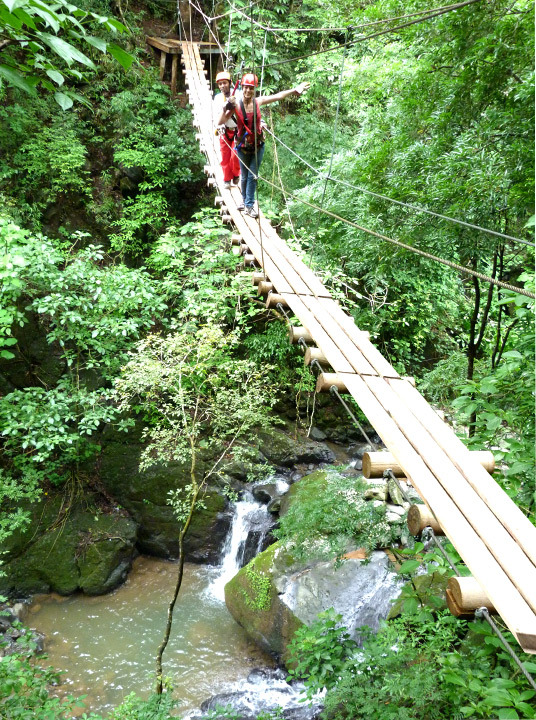 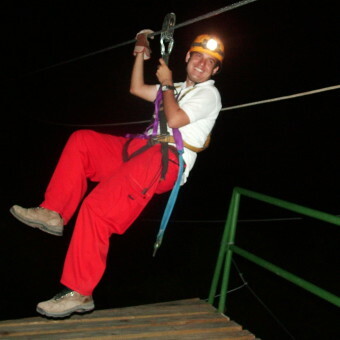 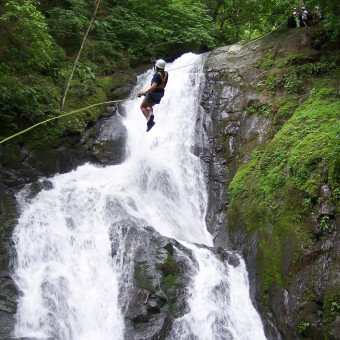 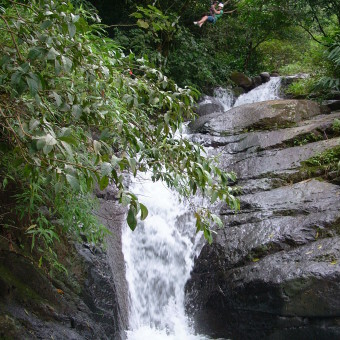 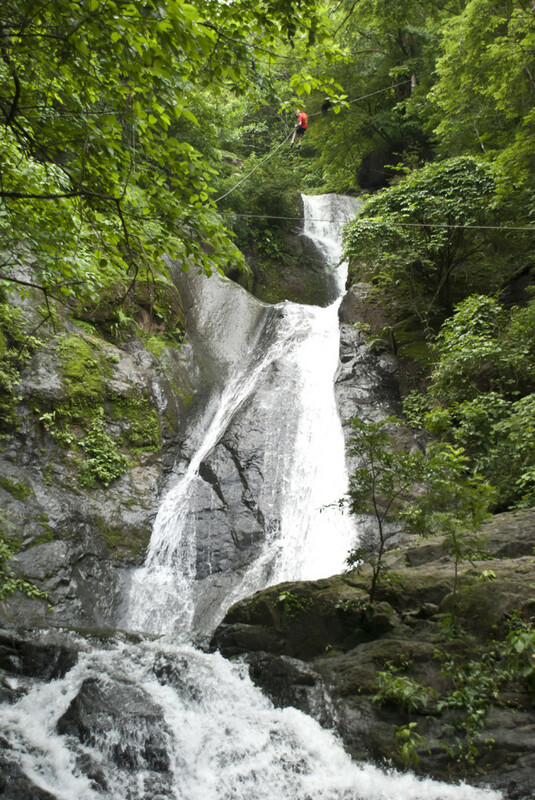 Our zip line tour has 25 zip lines and crosses over 11 real waterfalls. 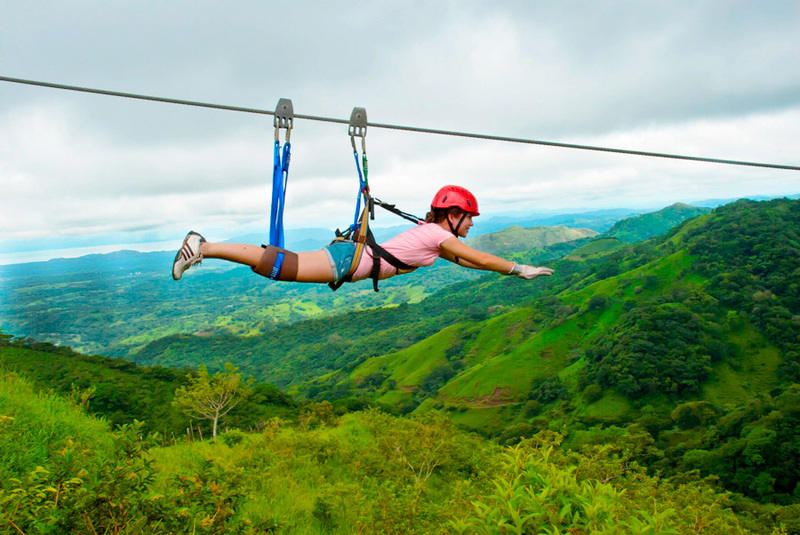 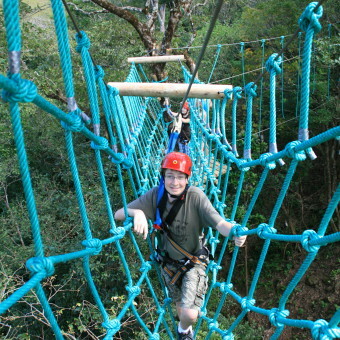 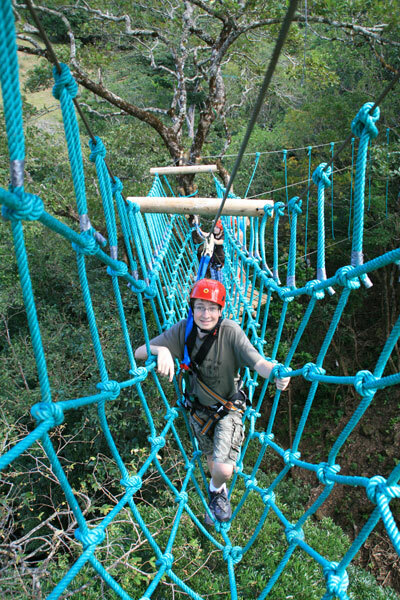 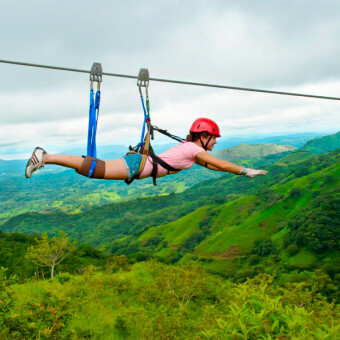 Besides you have a big number of activities where you can experience adrenaline and fun at every second with our Superman flight on 700m zip, experience our biggest low and high rope course in Costa Rica, ATV Fun Park, horseback riding, Restaurant, Bar, comfortable accommodations, all dense jungle surroundings, great views of the Gulf of Nicoya with safety the priority. 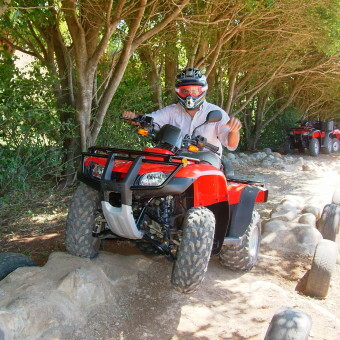 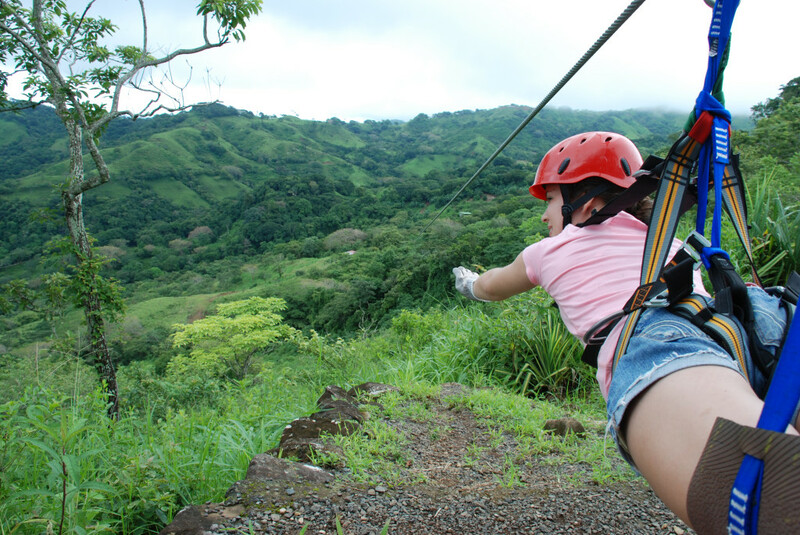 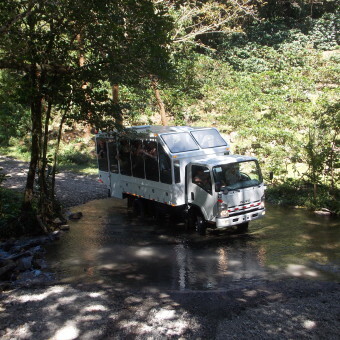 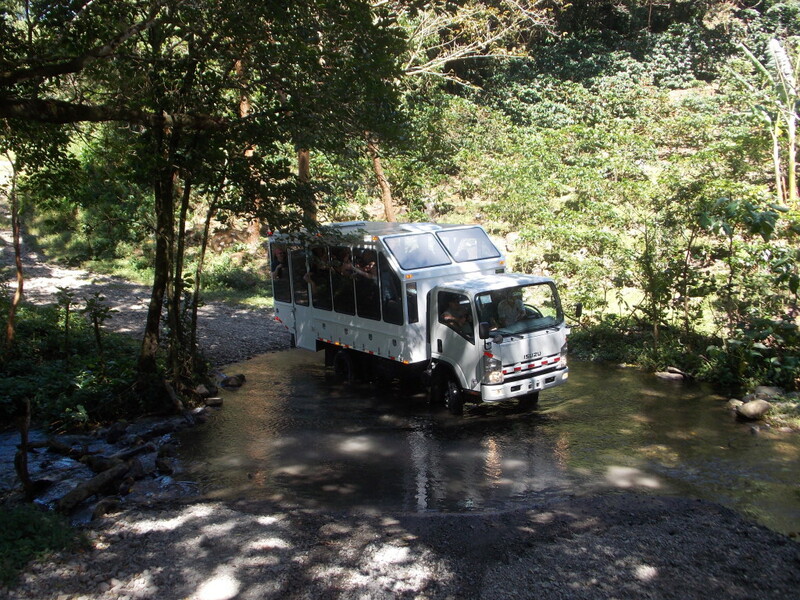 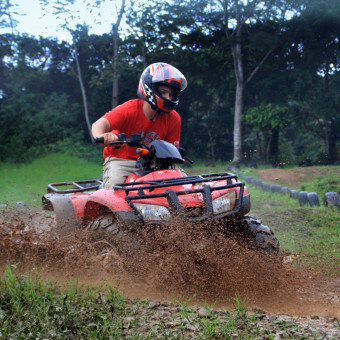 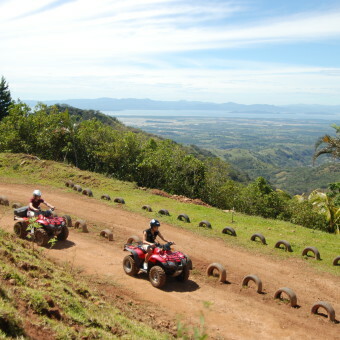 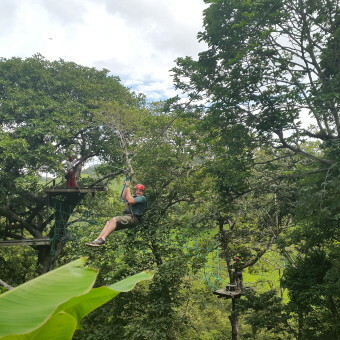 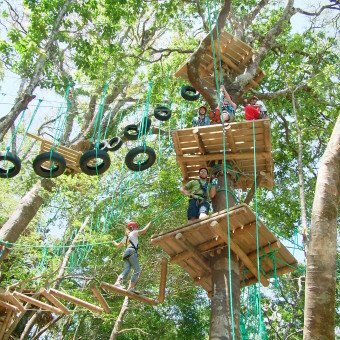 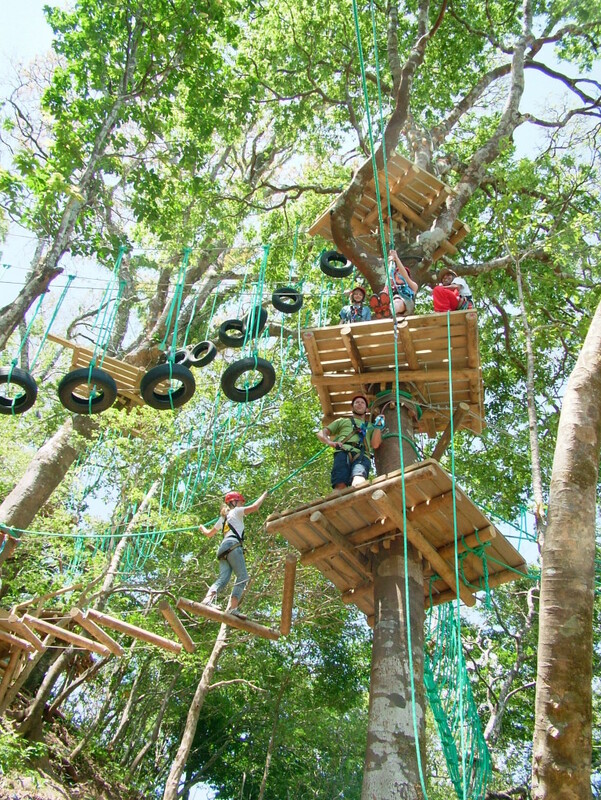 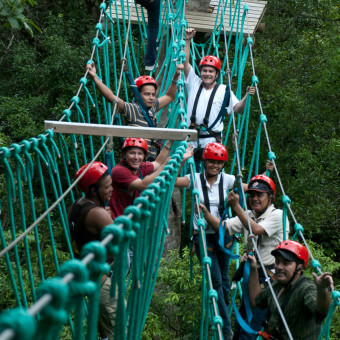 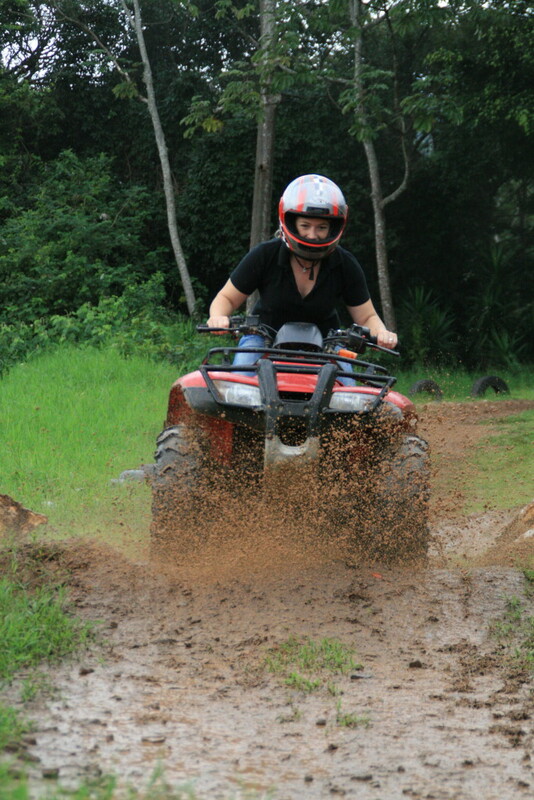 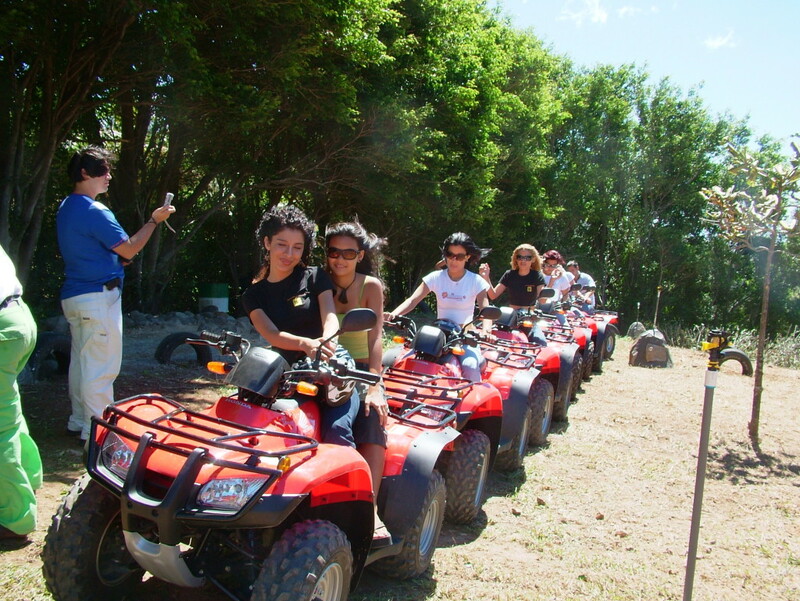 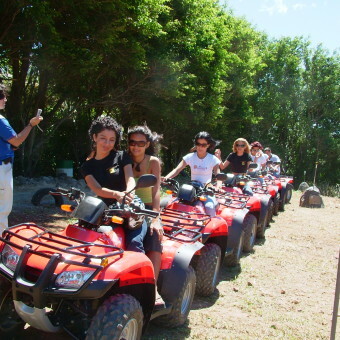 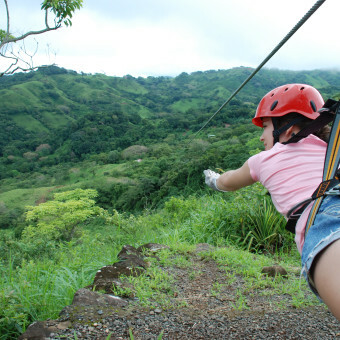 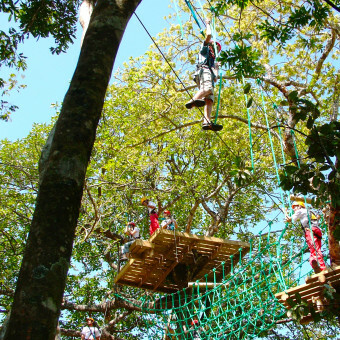 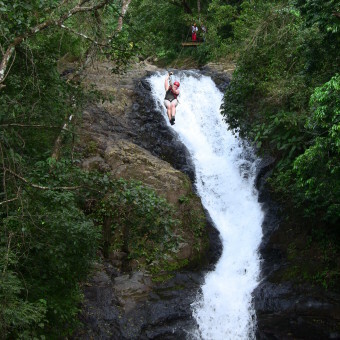 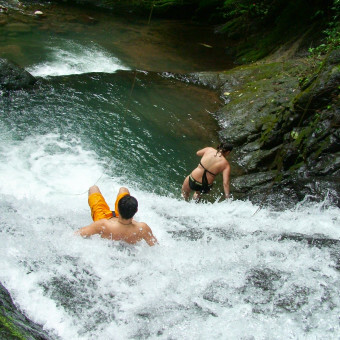 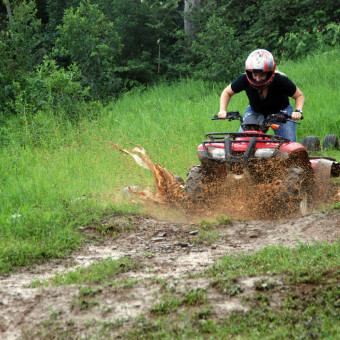 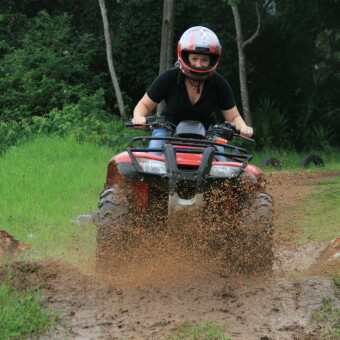 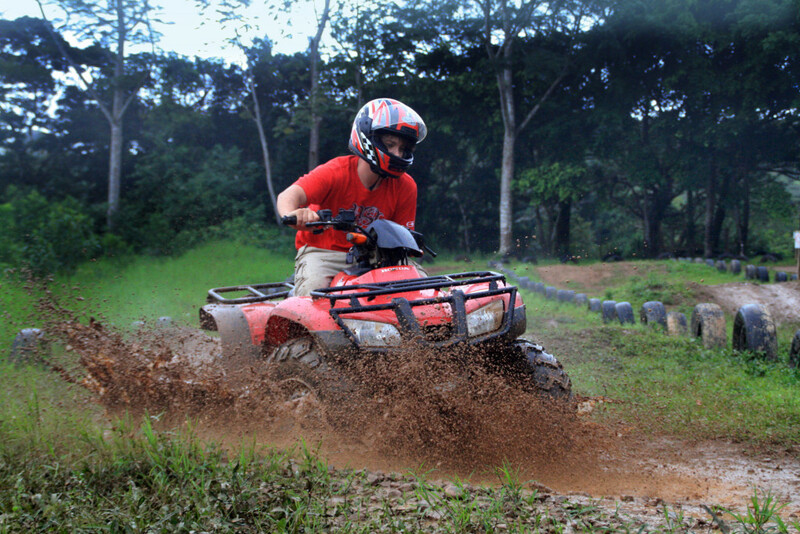 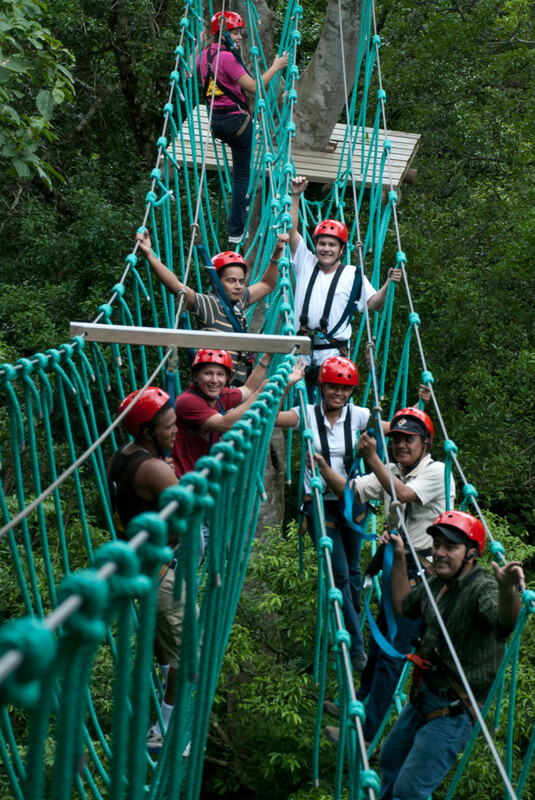 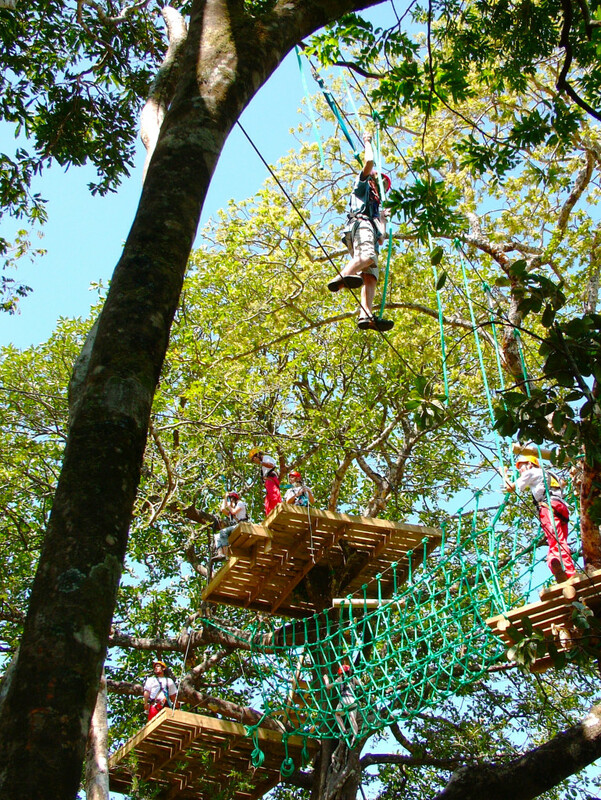 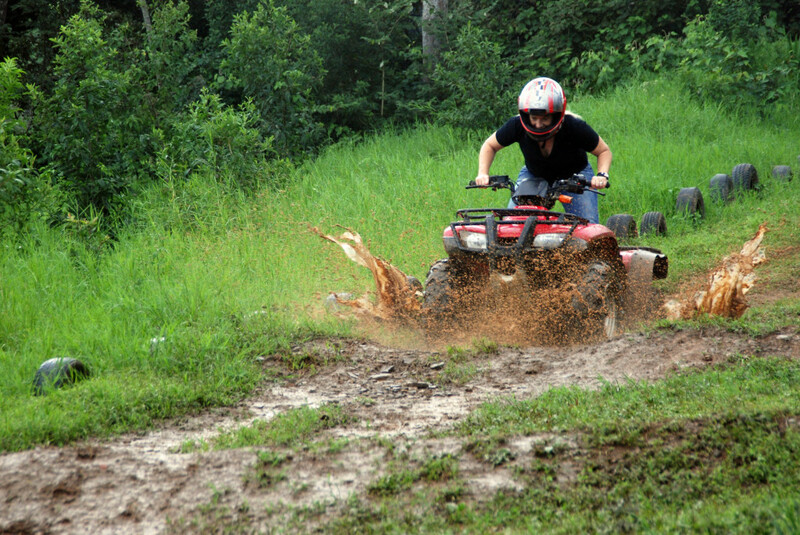 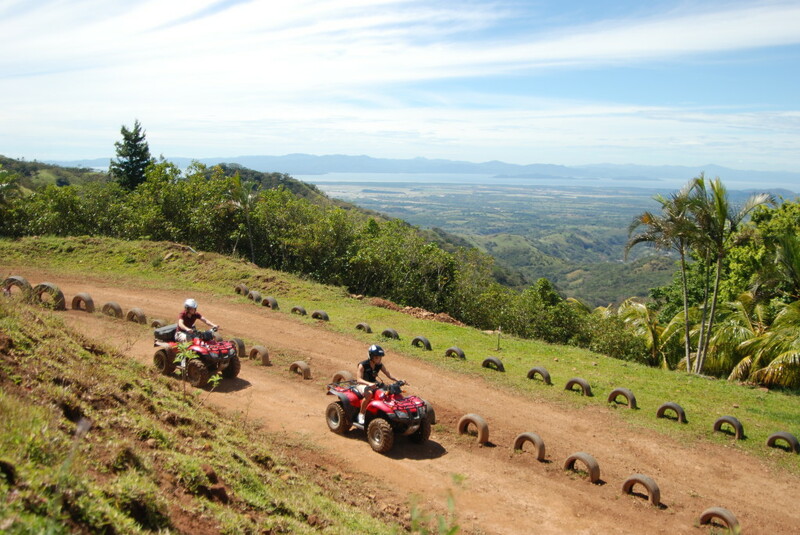 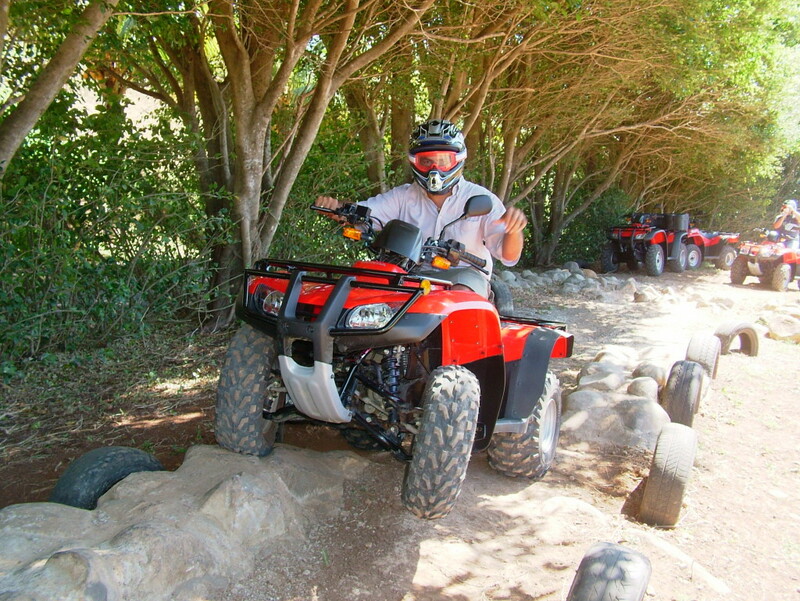 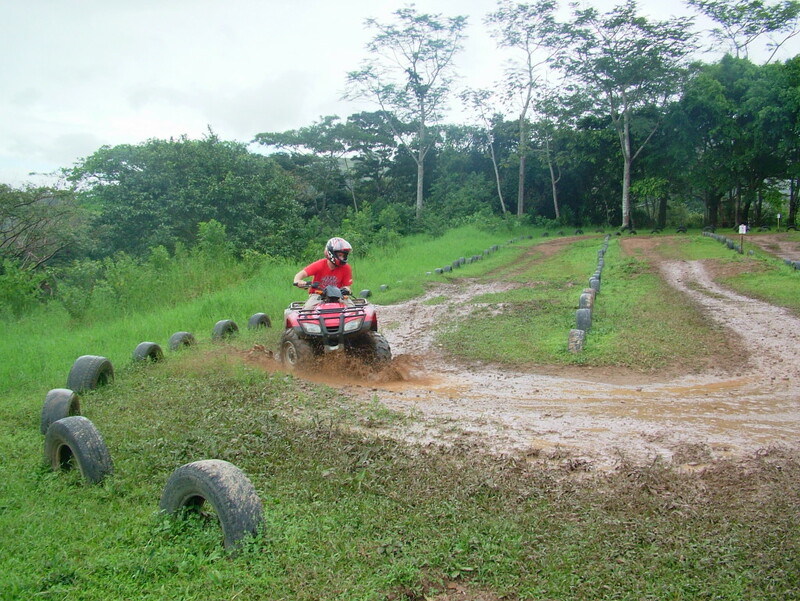 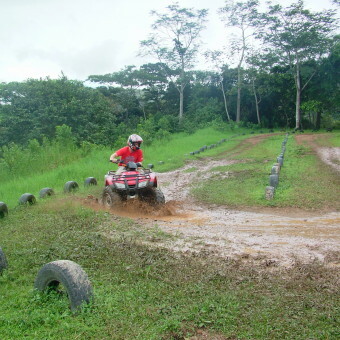 Nature, adrenaline and fun are just some of the different characteristics that can describe Adventure Park & Hotel Vista Golfo; Adventure tours are the key that will make a highlight on your vacations in Costa Rica. 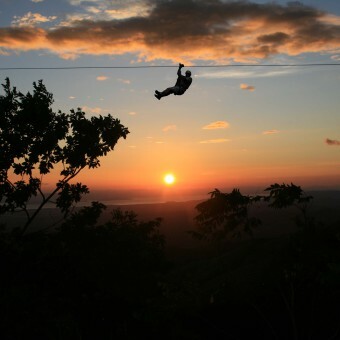 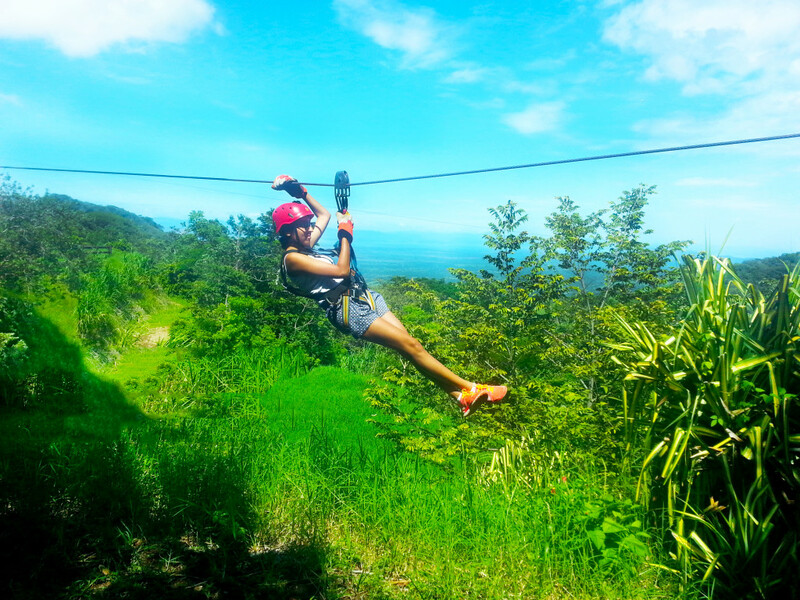 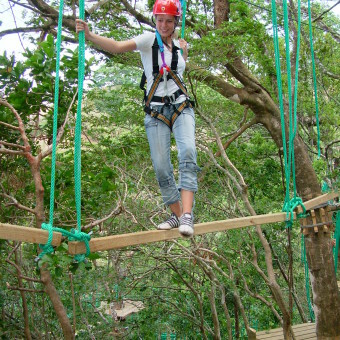 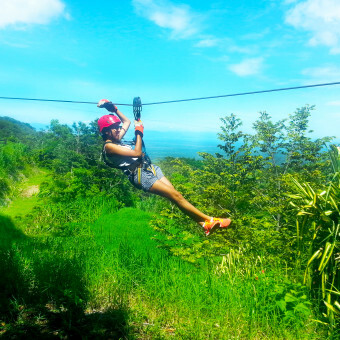 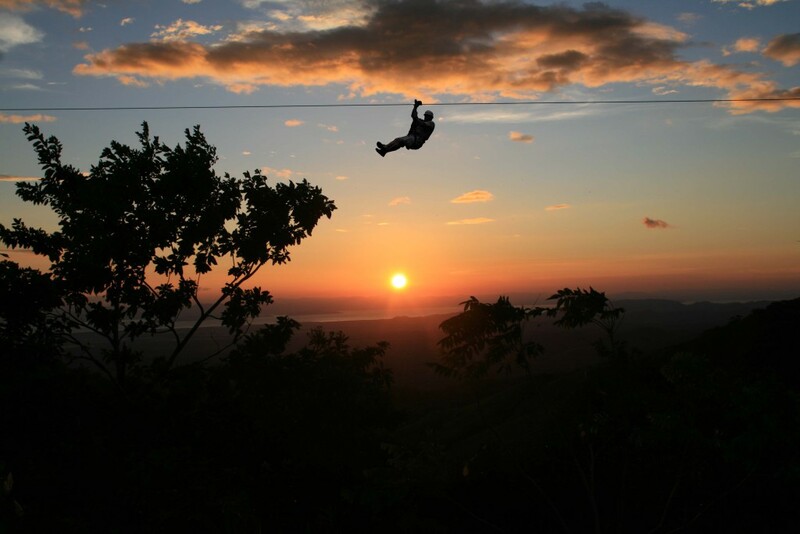 The biggest Zip Line, 25 cables over 11 waterfalls, the biggest High Ropes Course, Horseback ride tours, ATV track, more than ½ a mile cable to fly like a superhero without any superpowers or just hike inside a magical forest are waiting for you at our Adventure Park & Hotel Vista Golfo. 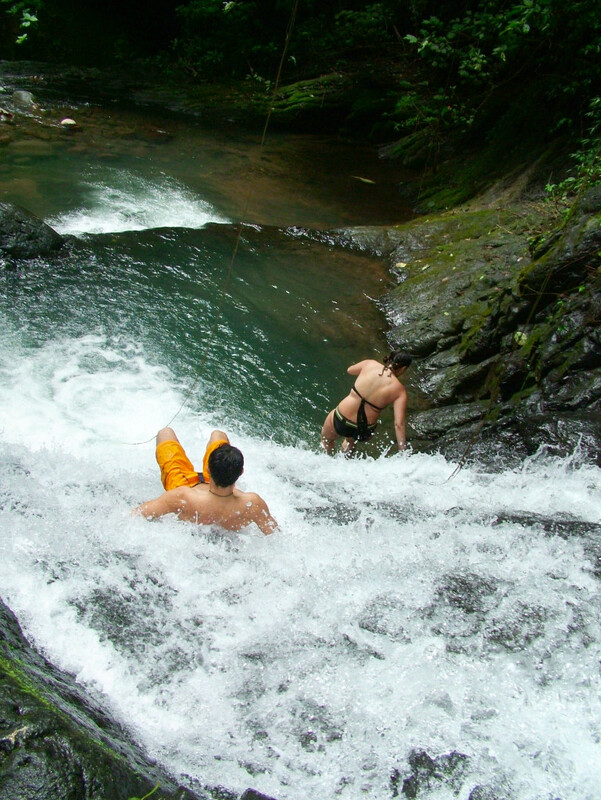 Take advantage of our all-inclusive adventure packages and rest in our comfortable rooms with a breath-taking view over the Gulf of Nicoya, one night, two nights or personalized packages will offer you the chance to enjoy and relax at the same time while we could take to the most beautiful highlights of Costa Rica nearby our area, like the Hot Springs and volcanoes, Rain Forest and national parks, Cloud forest and exuberant wild life to appreciate, makes Costa Rica very popular around the world. 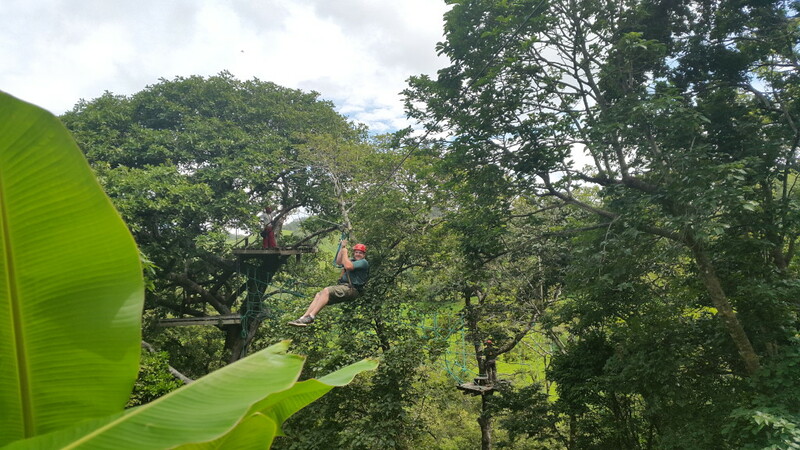 Give us the chance to plan your vacation for you and take care of all the different details like airport pick up or drop off, transportation between hotels, activities and tours reservations, enjoy with the experts of all the magnificent adventure, relax and fun at only one place.